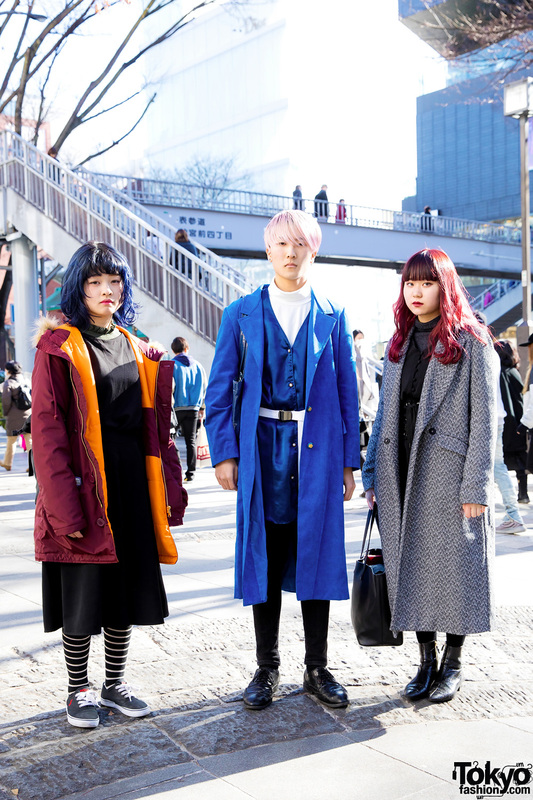 Harajuku designers in vintage eclectic fashion styles while out and about on the street. 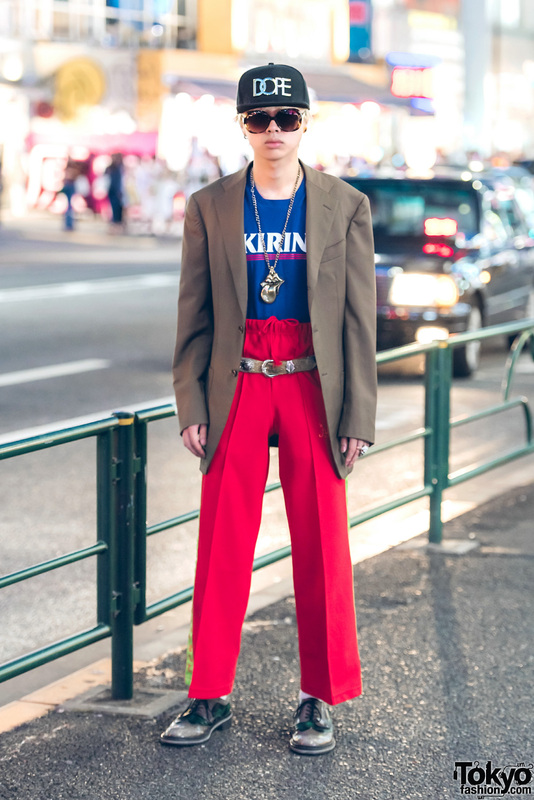 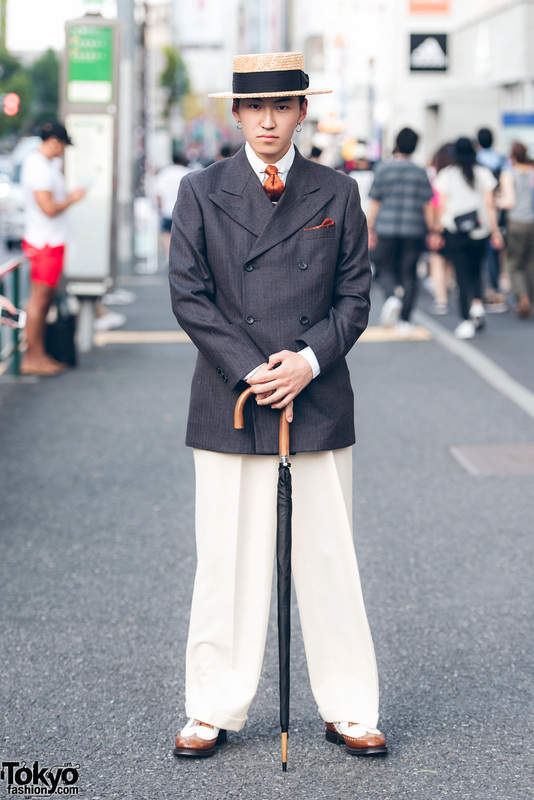 Harajuku guy in vintage streetwear style with brown blazer, blue t-shirt, red drawstring pants, leather wingtip shoes, black cap, pendant necklace, a watch and a skull ring. 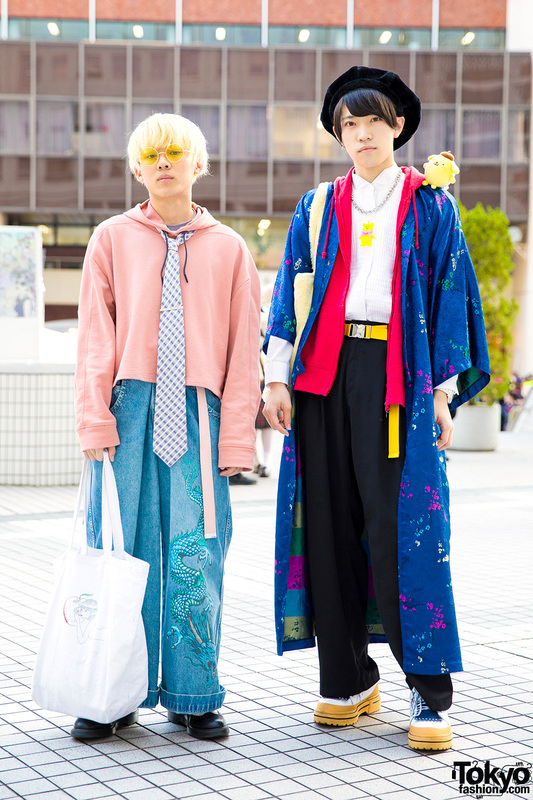 Harajuku guy sporting genderless kei fashion with a floral print dress, asymmetric wrap around skirt, cuffed pants, and leather wingtip shoes. 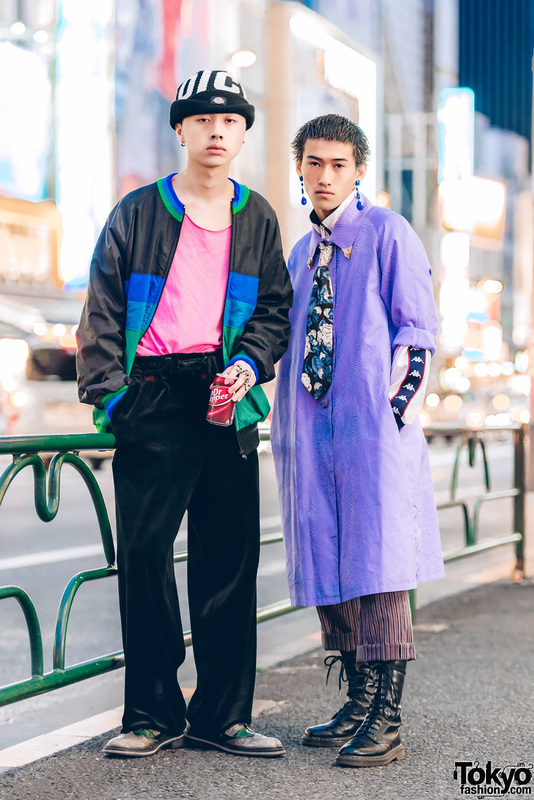 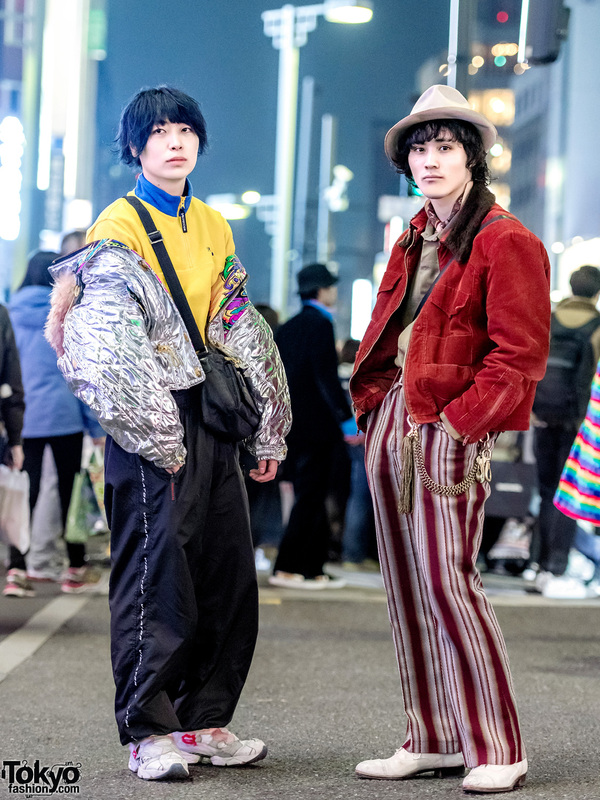 Harajuku guys in streetwear fashion with colorblock jacket over pink shirt, velvet pants, two-tone wingtip shoes, long purple shirt with gold collar tips, zipper jacket, striped pants, and black boots.